1. 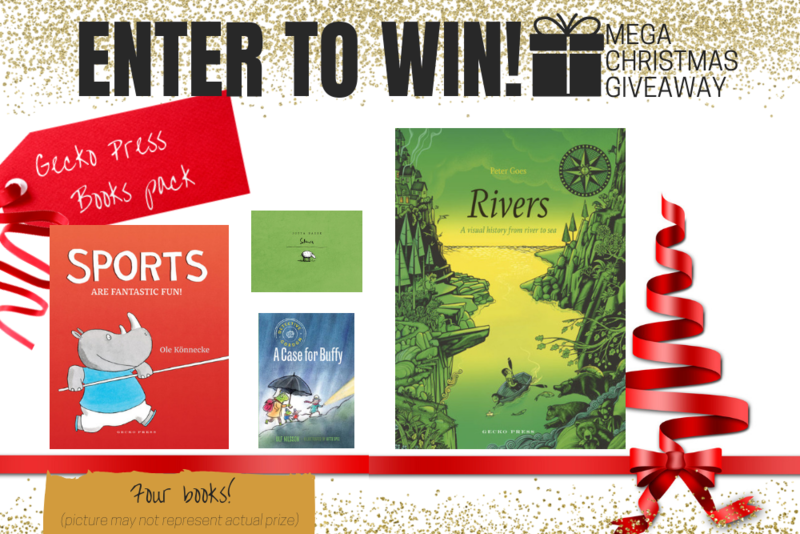 **Gecko Press - books pack (4 books) including Rivers – A visual history from river to sea RRP$34.99, Sports Are Fantastic Fun RRP$29.99, Selma RRP $14.99 and Detective Gordon: A Case for Buffy RRP$15.99. Total Prize Value $95.96** AUD (the "Prize"). 2. It is the responsibility of the winner to collect the Prize within 7 days of the end of the Competition Period from the Promoter’s Mornington office. 3. The Prize, or any part thereof, must be accepted as awarded and is non-negotiable, non-transferable to another person and non-convertible and is not transferable for cash. 4. The prize must be collected from the Promotors Mornington Office, unless otherwise advised.